Comment: Would like a stamped concrete patio or overlay over existing concrete patio. Comment: 6.5 ft x 3 ft slab for 2-3 trash cans. already framed with gravel. just need concrete. Comment: small 6.5ft x 3ft slab for 2-3 trash cans. frame already set and gravel. just need concrete. Comment: Need to replace two wooden retaining walls along a patio near basement entrance. Also need to install French drain to draw water away from basement doors. Rockville Concrete Contractors are rated 4.73 out of 5 based on 2,267 reviews of 89 pros. 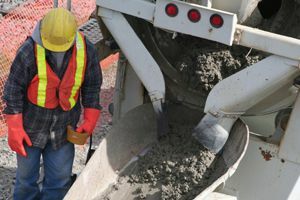 Not Looking for Concrete Contractors in Rockville, MD?